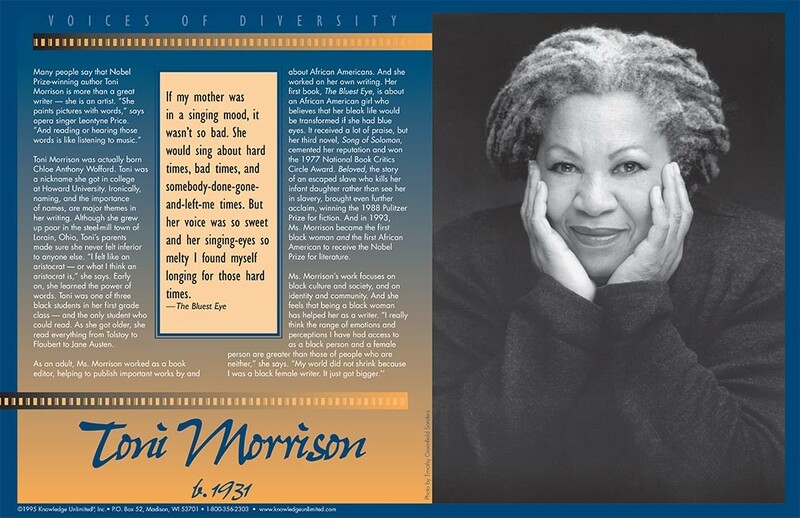 This educational poster features a striking photo of Toni Morrison, along with biographical text of her life and work, and an excerpt from her novel "The Bluest Eye." 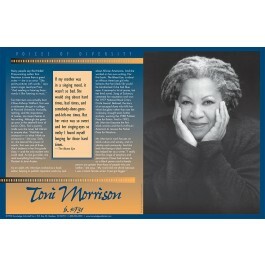 Tonii Morrison's novel "Beloved" won the 1988 Pulitzer Prize for fiction. In 1993, she became the first African American to receive the Nobel Prize for literature.